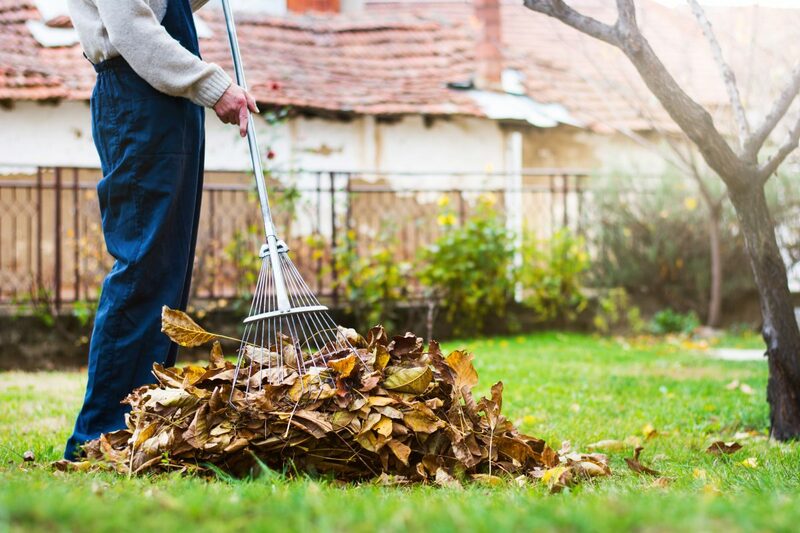 It’s that time of year again – the leaves are falling, which means it’s your job to get in the yard, rake them up and put them in trash bags. Chances are – you aren’t looking forward to getting rid of leaves. You are probably thinking that there has to be a better way. While it may be tempting to rake the leaves in a huge pile and burn them – this isn’t really a smart move. It’s no longer the 1980s and the majority of municipalities and cities have ordinances and laws in place that actually ban the burning of leaves – even if you don’t reside in the city limits. What’s Wrong with Burning Leaves? The fact is, leave smoke can actually be harmful to your health. In fact, the smoke produced contains irritating or toxic gasses and particles that increase the possibility of a respiratory infection. If that isn’t reason enough to avoid burning leaves, carbon monoxide may also result from leaves that aren’t completely burned. If this carbon monoxide is inhaled, it can be absorbed into the bloodstream, reducing the oxygen going to your body. Now you understand how dangerous burning leaves is, not to mention the risk of the fire getting out of control, so what’s a better option. Find a few here. Today, the majority of municipalities offer curbside pickup. In fact, they will vacuum up your piles of leaves and dispose of them – completely free. If this is available where you are, it is the best option. If your area doesn’t offer curbside pickup, then another option will be to mulch the leaves up and put them back into your yard. If this is the option you choose, then it’s a good idea to invest in a mulching blade you can attach to your lawnmower. It doesn’t matter if you use a push or riding lawnmower, this is a viable option. The mulching blade will double cut all of the debris while you are mowing. This makes the pieces left behind extremely small. Your yard will then absorb the mulched leaves and convert them into fertilizer. If the leaves are too thick for mulching, you can designate part of your yard as a compost pile and rake all your leaves to this area. While this may begin as a pile of various debris, over the course of a year, it will turn into rich, organic soil that can be used for planting flower and food. As you can see, there are several options besides burning to dispose of leaves. Be sure to keep these in mind if you are looking for a viable and effective way to get rid of leaves this year. If you need more help managing the leaves in your yard, be sure to reach out to top Kansas City lawn care companies. A reputable and proven lawn service company will be able to ensure that your yard remains leaf-free and that it looks great regardless of what time of year it is. If you’d like to schedule an appointment with Front Edge Lawn & Landscape, please call us at (913) 333-2532 or book service online here.